Would you give up everything, even the time in which you live, to be with your soul mate? That's what young art historian and teacher May Gold must decide when she slips through time's folds to meet the man of her dreams and the subject of her master's thesis -- fiery 17th century genius artist Gianlorenzo Bernini. I’m a huge fan of Broadway musicals. I don’t go to every musical, but with YouTube you don’t need a ticket to hear Broadway’s best. I did go to go to Hamilton, and I can rap almost every word of most of the musical numbers—I’m that fangirl about it! In every musical, there a show’s quintessential song—THE “I WANT” SONG. When I’m writing a story, I’m thinking about its songs, and most of all its desire song, the main character’s “I want” anthem. 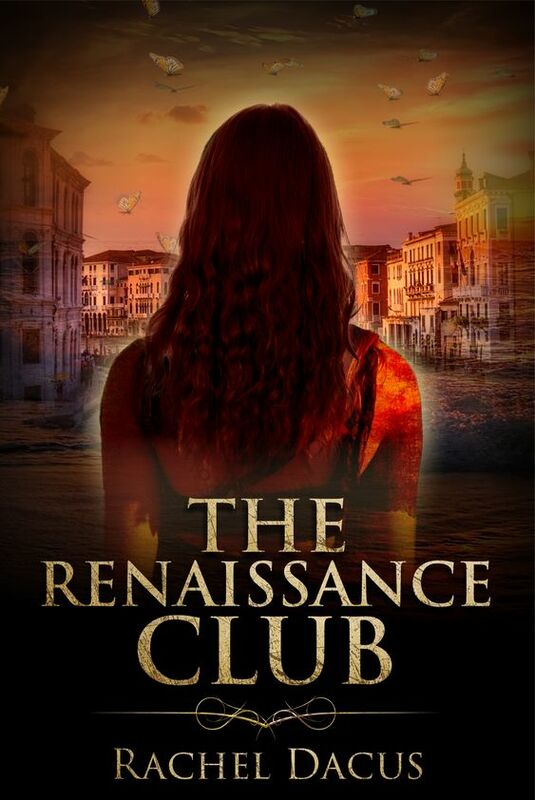 The Renaissance Club has a desire song embedded in page one—an opening number that says everything May Gold wants and feels she’ll never have: a creative life, respect for her work as a historian, and most of all passionate love. But here she is, in the most passionate and beautiful country in the world, Italy. She’s ready to meet her greatest hero, only he happens to be 500 years dead. The 17th century’s genius sculptor Gianlorenzo Bernini is the one she knows she’ll meet in marble, at least, as she and her teaching colleagues tour Northern Italy. Turns out, Time can be generous. Like laundry, it can fold. May can fall backward into and when she’s in front of her hero’s masterpiece, she can find herself staring straight into the eyes of her desire: the 26-year-old creative genius. Nothing like getting what you WANT to confuse and dazzle you right out of knowing exactly what you WANT TO DO ABOUT IT. What comes next is the unfoldment of how to overcome your own misbelief about the way to go after what you WANT. Because having the chance to gain your heart’s desire forces you to face the things inside that say, “You’re not worthy, capable, creative, passionate (fill in your own blanks)”. He lowered the rod and at last, smiled. Historians had written that his smile could charm anyone, but he had never been painted smiling. What a shame. “I’m a different kind of woman.” She remembered what a range of women he had known, from models to noblemen’s wives. In his era, women’s decent occupations could be listed in five lines. “I’m an exception.” She enjoyed the way that startled him. “What are you called?” he demanded. Neat book, way to go !